Every fall, we practically live at at the soccer fields. Two kids in soccer mean two practices, two games every week and a whole lot of fields that aren’t always dry. At our first game in September, I wore flip flops. I ended up joking to a friend that I was acting like a Soccer Mom newbie. You DON’T wear flip flops to the soccer field, I mean, come ON. My toes were wet and very cold by the end of the game. 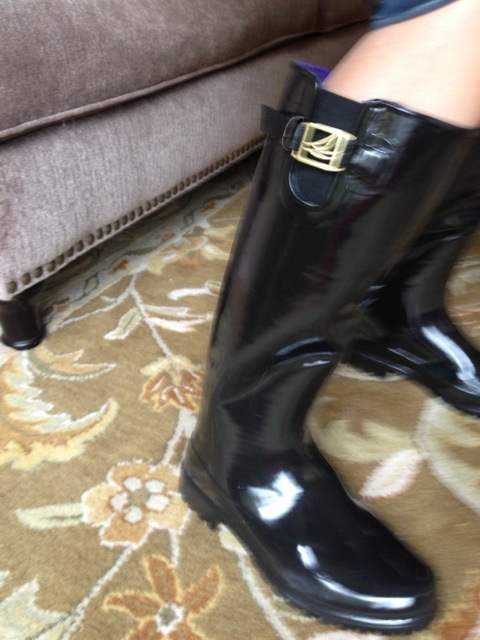 So I’ve been in a pair of old sneakers since, but I’ve been having rain boot envy when I see some of the stylish Moms in theirs during the wetter days. I still had a credit to Lord & Taylor from a fab event I attended over the summer, so I went to LordandTaylor.com to see what I could find. I thought I’d be getting a pair of Hunters but after trying them on in person and finding them didn’t fit me right, I ended up with a pair of much more affordable (woohoo!) Sperry’s. 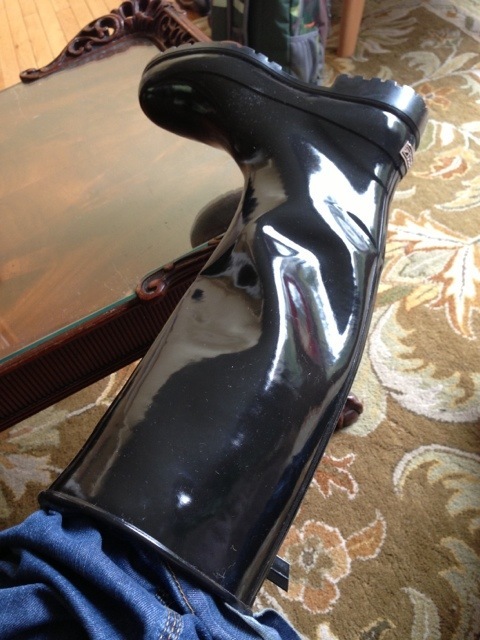 They are the Pelican Too Rubber Rainboots from Sperry ($78). But I got them for less because Lord & Taylor is having a great sale right now for Columbus Day Weekend! 25% off one pair and 30% off two pairs! Clearly I need to get someone to take the pictures for me sometimes, huh? Gotta love my skewed leg shot here! Ha! And if you order, size bigger! 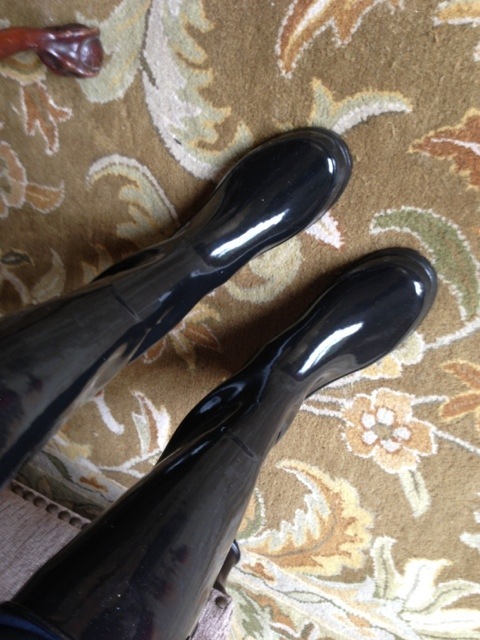 I tried a bunch on in person – I’m normally a 7 but 7’s were tight in rain boots. I ordered an 8 and I’m really glad for it because they fit just right, especially with a pair of thick socks. 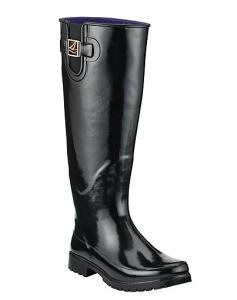 I have STILL yet to get myself some rain boots and there are times when I truly need them. I just can never seem to find the “right” pair. Gonna check these out. I was the SAME way. There are times I really need a pair and hadn’t gotten any yet…. I tried on Hunters and they really didn’t work for me. Which is also why I didn’t want to spend a ton of money. Liked that these were affordable & work with everything!